Can we talk about ice cream makers for a sec, folks? I own one. When I first bought it, I used it religiously every time I wanted to make a batch of homemade ice cream. Then one day a very important and necessary piece went missing. After a good amount of online researching (and actual searching of every nook & cranny in my kitchen), I came to find out that it would just be cheaper to buy an entirely new ice cream maker than just purchase the missing part. I put off buying a new ice cream maker. And the one with a missing a part went to a back corner of my kitchen cabinet to gather dust. No homemade ice cream was enjoyed in our home for months. And then one day, I was done with it. 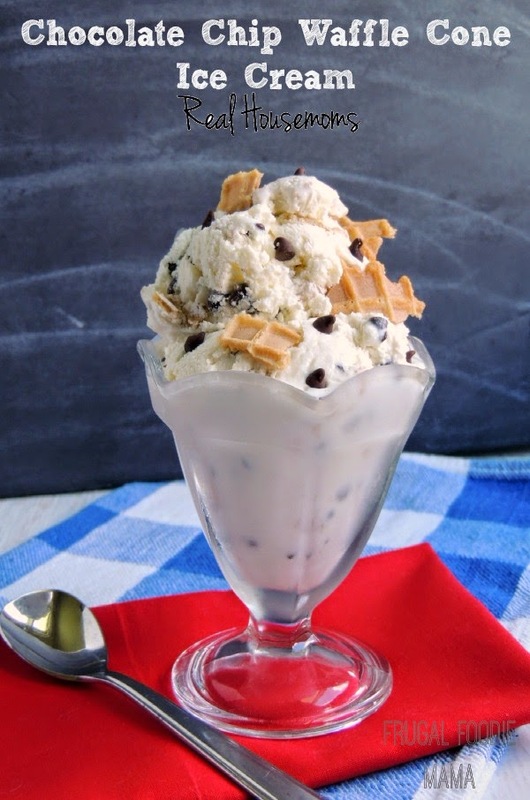 I sought out homemade ice cream recipes from some of my favorite food bloggers- ones that did not require an ice cream maker, aka no churn ice creams. From my first batch, I was hooked and never looked back. I even miraculously found the missing piece to the dusty ice cream maker a couple of months ago. But yet the ice cream maker still sits, gathering dust. 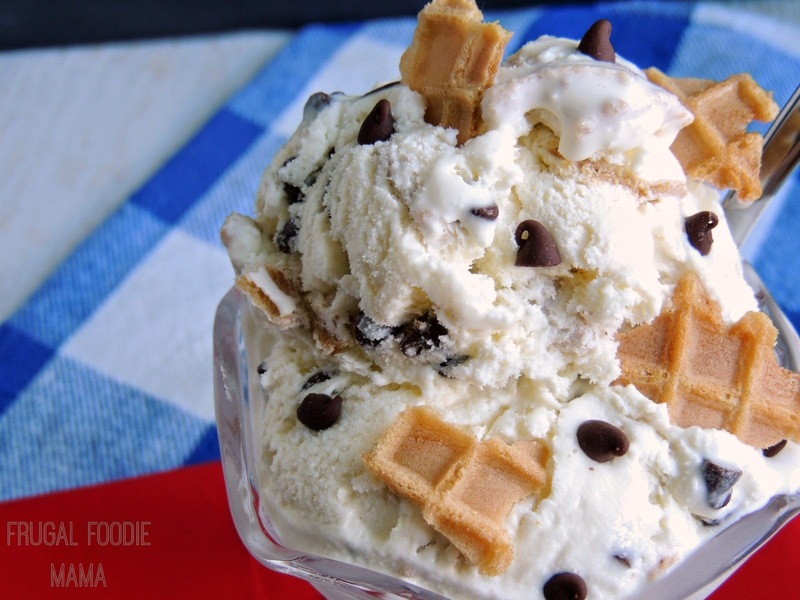 This no-churn homemade ice cream combines the classic flavors of vanilla, chocolate chips, and crunchy waffle cones into one frozen treat. And while you are there be sure to poke your cursor around a little bit. Seriously, folks- this talented blogger has it all over there! :) DIY & crafts, beauty tutorials, delicious recipes, lifestyle pieces... Real Housemoms is like the swiss army knife of blogs, and I am beyond thrilled and honored to now be a part of that.